If you look at Beirut on Google Maps you’ll see a visibly green and brown triangle in the middle of all the grey. This patch is Horsh Beirut, a 300,000 square meter (sqm) pine forest wedged between Badaro, Chiah and Qasqas. It’s colossal by local standards and by far the largest of the city’s 24 public gardens. 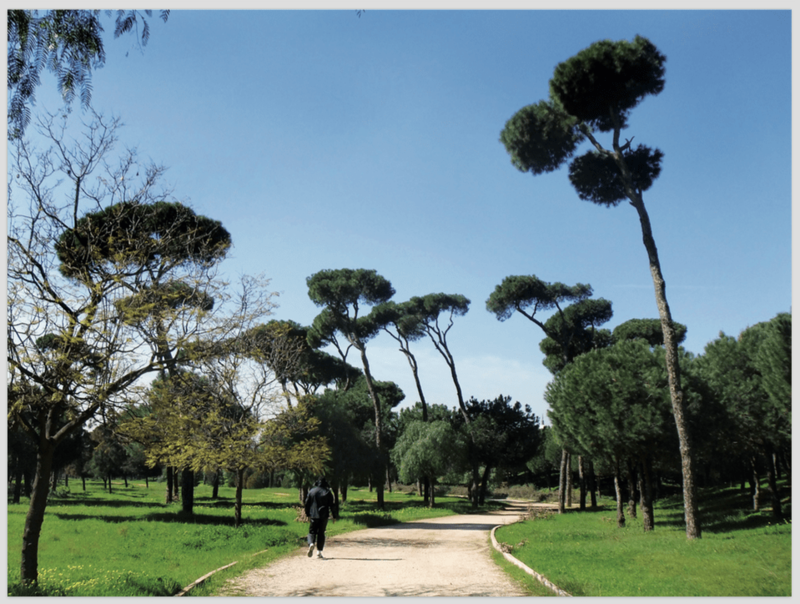 Also known as Horsh El Snoubar and the Green Lung of Beirut, the pine forest once stretched over a much larger area estimated to be over 1.25 million sqm in the 17th century. It was slowly chopped down to make room for the Ottoman Casino (later Pine Residence), the Beirut Hippodrome, several cemeteries and increased urban development. By 1969 it was said to have decreased to 800,000 sqm, and today is a mere oasis. During Lebanon’s civil war it was a battleground, and it was severely burned down during the 1982 Israeli invasion – leaving only a reported 300 trees standing. Rehabilitation began in 1992 and left the park closed for a decade to ensure vegetation was able to recover. When it was ready to be used, authorities were worried that people weren’t ready to use it, and so the opening was postponed for a decade more. In September 2015 Beirut’s biggest plot of green finally reopened to the public after 22 years, thanks to the lobbying of non-governmental organizations such as Nahnoo, which continues to work with the Beirut municipality to make sure the park is preserved. Since its reopening it has only been accessible on Saturdays, which was done in an effort to help everyone adjust to the new situation; park workers need to be able to cope with the influx of people and visitors must follow guidelines. Volunteers have been present every Saturday to guide, educate and hand out fliers with friendly rules. Nahnoo Director Mohammad Ayoub says the infrastructure of the park, including benches, bathrooms and security cameras, will be complete by January 2016 so the park is set to be open every day starting then. Over the past few months Horsh Beirut has started to regain its former glory. A steady crowd has been visiting the park, holding children’s birthday parties, having picnics and playing music on the grass. There have also been organized events like painting and yoga sessions. Even brands are engaging in the public space – Sohat had a stand at the park for a time, handing out free water. It used to be called Horsh El Eid, the Holiday Grove, and many people from older generations have stories of times they used to spend there. Some of those stories are the theme of a new digital story-mapping initiative by Nahnoo and YouCitizen, where the park’s neighbors tell their stories on an interactive online map. The park’s location has been a source of worry, causing the continuous delay in its reopening. Horsh Beirut is at the crossroads of three religiously diverse communities and sits on the former demarcation line that divided Lebanon during the civil war. But what was once the Green Line is today a green space that can serve as so much more than a beautiful break from city life. Public parks can be places of cohesion and interaction. They can play a significant role in bringing people together and creating dialogue, something desperately needed in diverse, volatile Lebanon. The Lebanese have become more aware of the environment since the start of the garbage crisis so the park’s opening comes at a good time, when people are seeking greener lives. Change is possible, and Beirut can become greener – and greater.